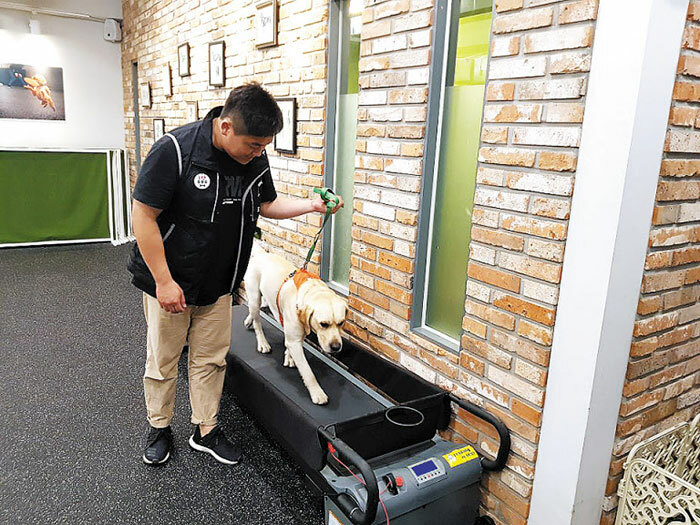 Korean pets are increasingly overweight as they are often kept in apartments and do not get enough exercise, which has led to a fad for pet diet programs. Some 40 percent of pet dogs were found to be overweight in a 2015 survey by a veterinary clinic. A dog weighing 1.2 times more than the average of its breed is considered overweight. Byun Woo-jin, a pet dog trainer, said, "There are only a few cases where pet dogs get ample walking time and many end up overweight." Byun added, "Severe obesity leads to problems in the joints, and dogs need to watch their weight just like people." A dog runs on the treadmill at an animal gym in Seoul on July 30. 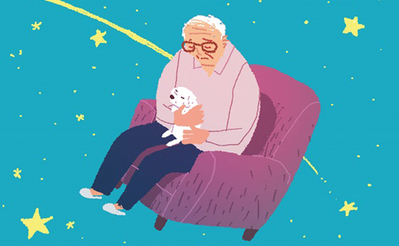 Pet-centered websites are full of weight-loss advice. Some owners stopped giving snacks and reduced the amount of food, while others take them on longer or more frequent walks. Others share recipes for allegedly healthy snacks using pumpkins or tofu instead of meat. The market for pet diet products is growing rapidly. Dog foods with less fat and more protein that costs 20 to 40 percent more than regular products are selling well. Also rising in demand are machines that mete out a set amount of food for dogs, Fitbits counting the amount of calories pets burn as they walk, and exercise equipment.